Using both families and schools as a lens for study, 1st-grade students learn about geography, history, economics, and civics with strong connections to the literacy block! Families and Schools, Chapter 1: How Do People Get Along with Others? The First Grade text is meant to be explored visually by students like a traditional “big book”. Some teachers may also want their students to have a copy of the book as a digital text on an iPad, Chromebook, or other digital device. Either way, the way students interact with this book is different from other MI Open Book materials. Families and Schools, Chapter 2: What Stories are Part of Our Past, Present and Future? Families and Schools, Chapter 3: Where are We? The First Grade text is meant to be explored visually by students like a traditional “big book”. Some teachers may also want their students to have a copy of the book as a digital text on an iPad, Chromebook, or other digital device. Either way, the way students interact with this book is different from other MI Open Book materials. Each short reading is meant to have some teacher interaction go along with it. We tell you what those are in each section. This chapter also requires construction of a small box. You may use the lid of a ream of paper for creation of this box, or have a sturdier one built for you. This same box will be used across all K-2 books. You may want to have one sturdy one built and shared between teachers. Families and Schools, Chapter 4: How are We Part of Our Environment? Students further study the concepts outlined in the geography content expectations by discussing now how they are part of their environment. In this chapter important foundational concepts such as natural and human characteristics are discussed and explored. Families and Schools, Chapter 5: How Do We get What We Need and Want? This chapter examines the important distinction between wants and needs. 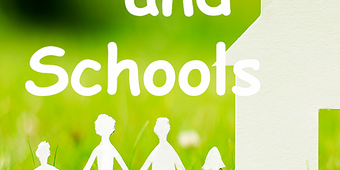 Families and Schools, Chapter 6: How do people solve problems to make things better? is something difficult that needs to be solved. It can be hard to solve a problem because not everyone will agree on how to solve it.